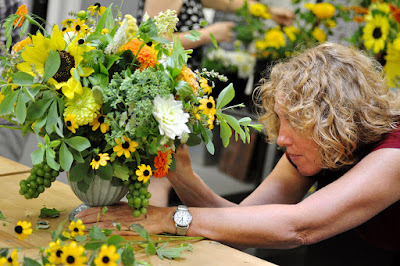 We're so excited to announce LoCoFlo's first ever Amateur Floral Design Competition! If you've ever taken a class at Local Color Flowers or you love dabbling in design at home, this is the perfect opportunity to show off your skills and creativity. Competition Dates: This is a two day extravaganza! Friday night, April 1st - Our studio will be opened to competitors between the hours of 7PM and 9PM. During this time contestants will design their centerpieces. These centerpieces will be held in our cooler overnight and set out for display and judging the following morning. Saturday morning, April 2nd - To coincide with the Waverly Farmers Market on Saturday morning, we will have our doors open to the public between 9AM and Noon. All arrangements will be out on display for the public and judges to vote on. Our celebrity judges will vote between 11AM and Noon. Winners will be announced at Noon! There is a $75 entry fee. Please sign up online through our website. There are only 15 spots available so don't delay! All supplies (clippers/water) and flowers necessary to create a show stopping centerpiece will be provided by Local Color Flowers. Local Color Flowers encourages contestants to bring their own vases. Contestants are also welcome to purchase a vase from Local Color Flowers on Friday, April 1st for $5.00. We'll have a big selection of shapes and sizes. Size parameters: If you are bringing your own vase, it can be any height but should not have an opening larger than 5 inches wide. If you have questions or need examples, please email irene@locoflo.com with an image of the vase you intend to use along with it's dimensions. 1st Place: $150 Gift Card for the Food Market in Hampden, a LoCoFlo tee shirt AND a free class at Local Color Flowers. Best Use of Color: LoCoFlo Hoodie AND a color wheel! * All centerpieces must be created at Local Color Flowers' Studio on Friday night, April 1st between the hours on 7PM and 9PM. - No exceptions. * All centerpieces must be created using the flowers/foliage/branches provided by Local Color Flowers. 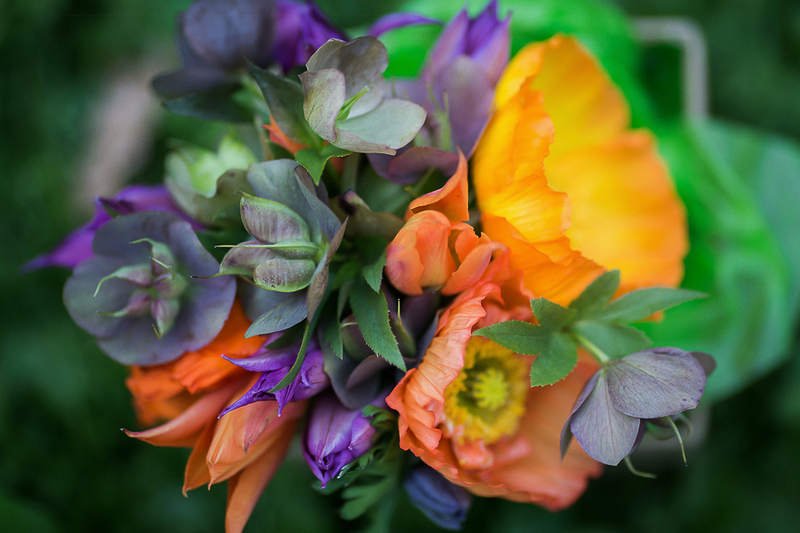 The use of other flowers gathered from outside the studio whether forged or bought is not permitted. * The use of floral foam or Oasis is prohibited. *Amateurs only please! If you do floral design as your job, this one isn't for you. * Local Color Flowers encourages contestants to bring their own vases. Contestants are also welcome to purchase a vase from Local Color Flowers on Friday, April 1st for $5.00.If you have questions about your vessel, please email irene@locoflo.com with an image of the vase you intend to use along with it's dimensions. The People's Choice Winner will be determined by Baltimoreans that stop by the shop Saturday morning between 9 and noon! The Instagram Famous winner will be determined by how much love they get on IG! LoCoFlo will post it's top 3 favorite arrangements for online voting! All winners will be announced Saturday, April 2 at noon!